Your product is your specialty. You have the greatest product or service on the market, but can your property’s landscaping attract the customer to the door? In today’s busy world, you probably work extremely long hours keeping your business on top of growth and development. Do you have any time in the day to be concerned with your building’s landscape and presentation? Paramount is the solution to your problem. Not only will your lawn look its best, but you’re parking areas and walkways will be well maintained and your gardens neat and tidy. Appearance is of utmost importance to us; we have the cleanest and most advertised trucks and trailers in our market. We were one of the first to come out with complete company uniforms with full safety gear and we also have by far the most customer service- oriented teams in our industry. Appearance and presentation mean everything to us. It defines our image and who we are to our core. We want to make sure your business’ appearance and presentation does the same. At Paramount, our vision is offering our customers a complete service by being multifaceted within the landscape field. We also realize that as an owner you need us when you need us – regardless of the time, day or night. This is why we are available 24/7 365 days a year. 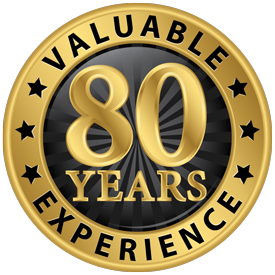 Our senior management team has over 80 years’ experience taking care of commercial buildings in the GTA and surrounding areas. Regardless of what your business may require concerning it’s landscaping, our teams will make sure we can supply everything you need on your property which will ultimately save you time and money. Think we’re exaggerating about what we offer? We’re not. A list of our services is provided below; please read and compare us to your current provider and see how we offer a much more comprehensive return on investment.